It's a bright idea. Requires 3 AAA's (not included). 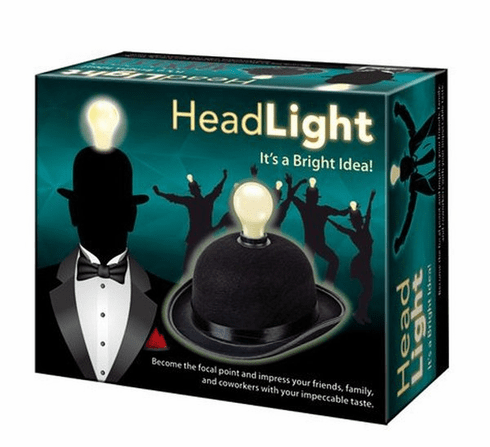 A must for quiz shows, brainstorming, or a night out with friends. The perfect ice-breaker for all occasions. Really useful for coal mines, caves, and darkrooms. Did you know that an LED light can last for 30,000 hours? Good news! This bulb contains a long-lasting super-bright LED! Unisex. One size fits all. On/ Off switch.